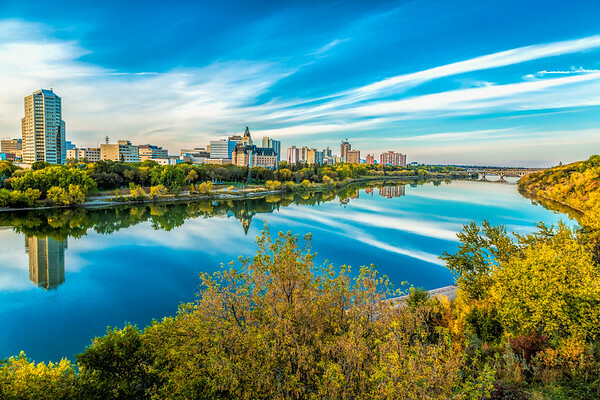 The fall colors of Saskatoon with the University Bridge and South Saskatchewan River in the foreground. 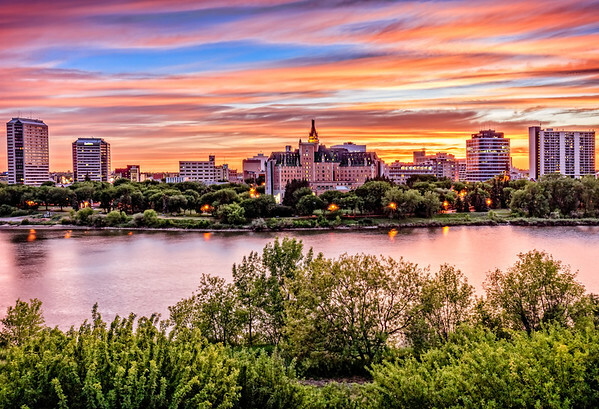 Colorful prairie sunset over the Bessborough Hotel & the city of Saskatoon. 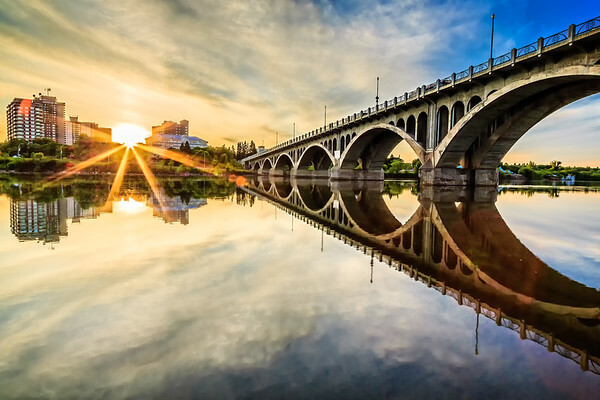 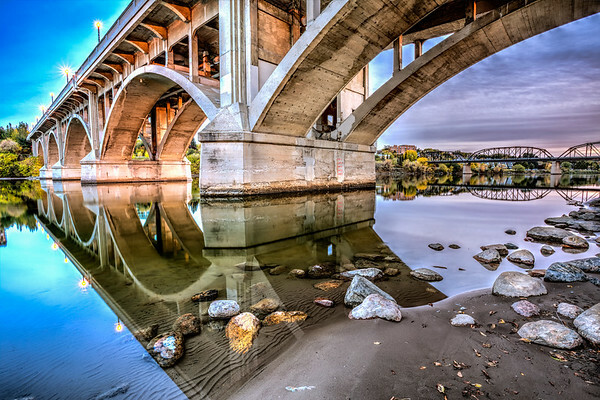 A warm summer sunset over the city of Saskatoon where the calm waters of the South Saskatchewan River flows under the University Bridge. 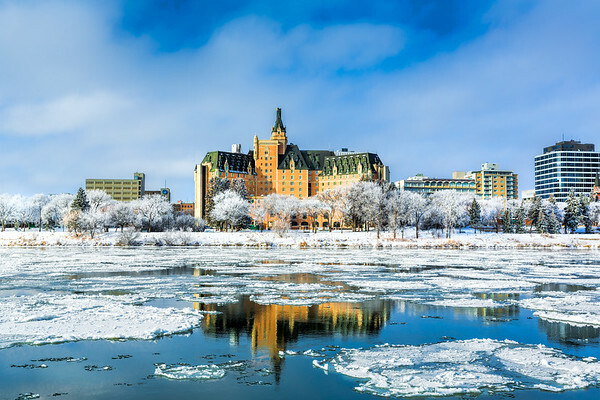 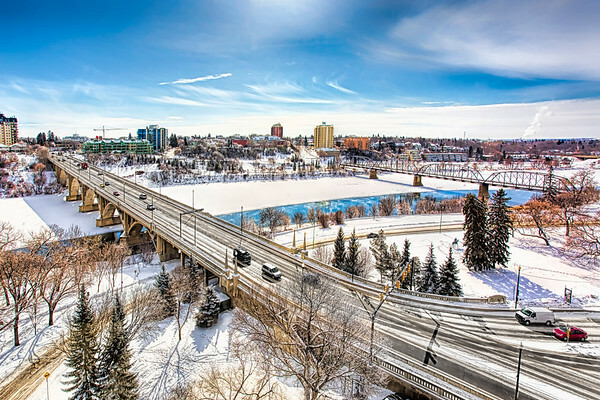 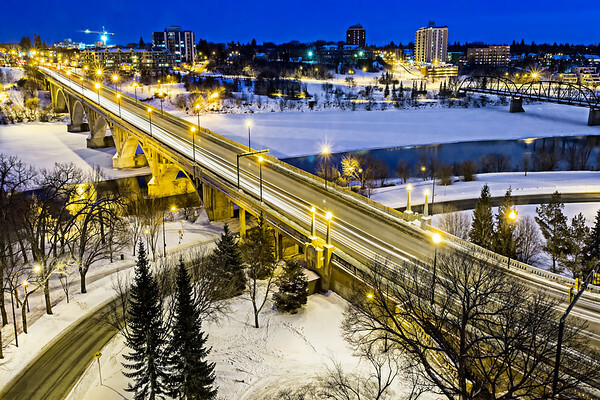 The Broadway Bridge and South Saskatchewan River in Saskatoon, Canada on a cold winter night. 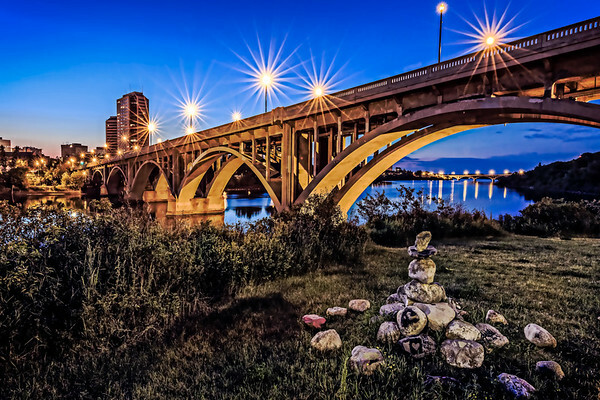 The Meewasin Valley in Saskatoon, Canada by the Broadway Bridge and Victoria Bridge. 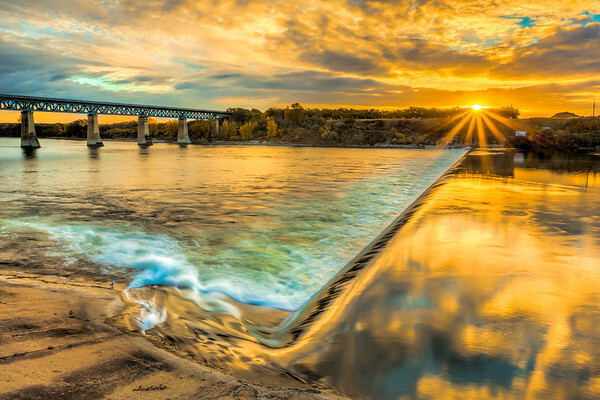 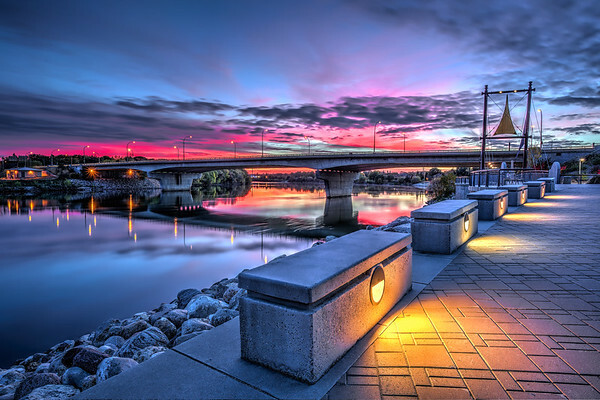 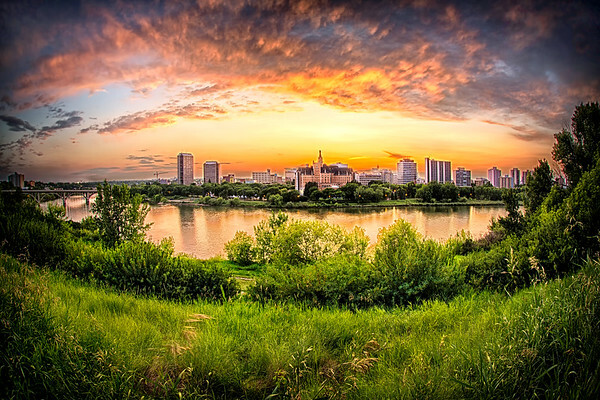 A rich and colorful sunset over River Landing and the South Saskatchewan River in Saskatoon, Canada. 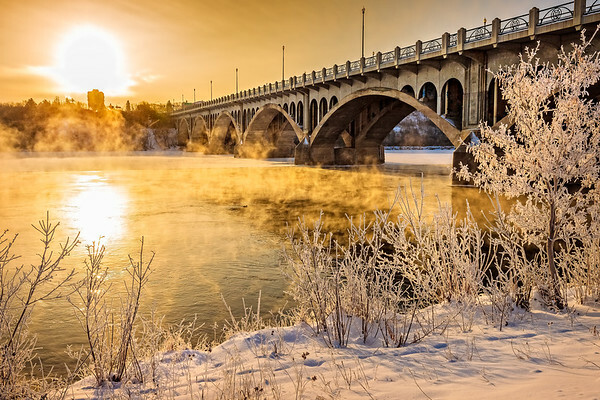 The Saskatoon weir is a common travel destination for people to see the structure and railway bridge along with the numerous birds that reside in the area. 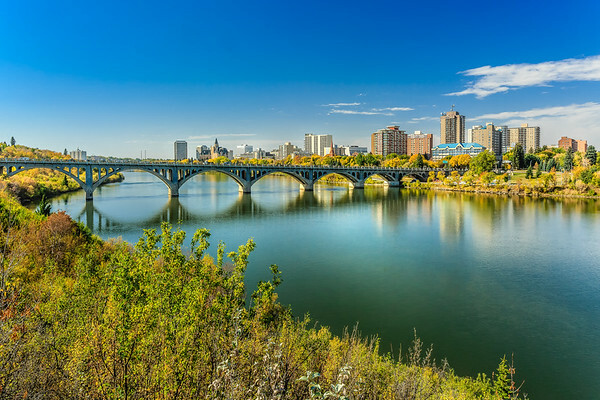 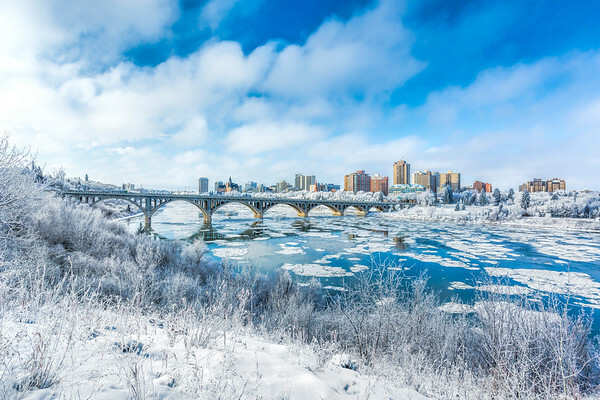 The city landscape in fall of Saskatoon which includes the buildings and South Saskatchewan River.